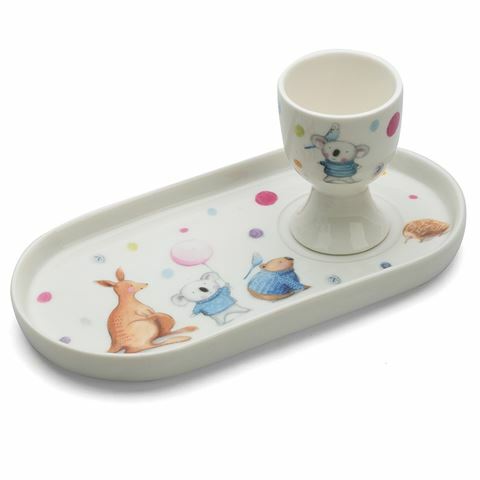 Includes images of Barney Gumnut and his friends on the plate and egg cup. Presented as a set of 2 in an Ashdene gift box. Plate Dimensions: 19cm (l) x 2cm (h) x 9.5cm (w). Egg Cup Dimensions: 5cm (l) x 7cm (h) x 5cm (w).